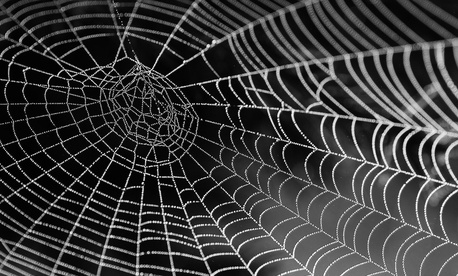 The U.S. Army is upping its investment in genetically engineered spider silk for body armor. Last year, the service paid almost $100,000 to Kraig Biocraft Laboratories, which makes spider silk that can be produced at scale — with silkworms. On Wednesday, the company announced that the Army will move to the second phase of the contract and will look to Kraig to produce a customized strain of the silk for “high-performance fibers for protective apparel applications.” That is: flexible body armor made from genetically engineered spider silk. The total contract amount would reach $900,000 if parameters are met. Army representatives said that interested in the material purely from a research perspective, for now. Kraig Biocraft injects spider DNA into silkworm eggs, enabling the worms to produce its custom silk. The researchers describe the process in this 2011 PNAS paper. “We want to evaluate, to test, to see if this is a better material to use,” said James Zheng, the chief scientist for the Army's Soldier Program Executive Office. Among the top potential uses, said the representative, “extremity protection… for the groin area.” Read that to mean soldier underwear. It’s also much more elastic and flexible than kevlar. But getting enough spider silk to clothe an Army is a tall order. The crawly arachnids don’t produce silk in high volume and when you crowd spiders too close together, they eat each other. The quest to produce spider silk in hosts other than spiders has led researchers to use a variety of other methods such as yeast, e. coli bacteria and mammalian cells. But silkworms are the best candidate to produce transgenic spider silk at scale, according to Jon Rice, Kraig Biocraft’s chief operating officer. Unlike those other hosts, silkworms actually produce silk fibers as opposed to what Rice characterized as “silk protein goo.” There are facilities to extract silk all over the world. “We’ve been using silkworms for over 4,000 years to make fibers. That process is well known.” he said. In May, Kraig Biocraft delivered samples in the form of “shoot packs” as part of their contract. The Army tested the packs and determined that they wanted more of it. “I was pleasantly surprised to find a contract in my in box,” said Rice. Now the Army is looking for a new, customized strain of the transgenic silk, which Kraig Biocraft has named “Dragon Silk.” The key new desired feature? “Stronger,” said Rice. Rice doesn’t know exactly how the Army intends to test his company’s next material but said that he expects they would be more involved in the development of material and potential applications from this point out.